The Willetts were intimately connected with St Augustine’s from about 1880, and the connection lasted some seventy years. 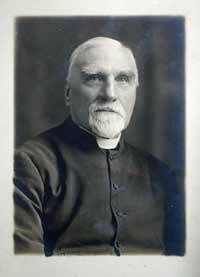 Frederic Willett, at that time Vicar of West Bromwich, inherited the property named Bedales and became the voluntary priest in charge at Saint Augustine’s Church from 1881 until 1905. It was his money that paid for the construction of the chancel, the side aisle and the church tower, his eldest son who became the first Vicar’s Churchwarden after St Augustine’s became a parish in 1930, and several of the monuments in the church are dedicated to, or at least mention, members of his family. The fortunes of the Willett family were made by Frederic's paternal grandfather, William Catt (1776-1853), who created a massive tide mill at Bishopstone near Newhaven. William was the son of a farmer, John Catt, and his wife Elizabeth, née Willett, and he went into partnership with a cousin who owned a mill at Bishopstone, leasing about a mile of land between the mill and the sea from Lord Sheffield. He constructed a tide-filled reservoir on this land, and used this to power the mill. At its peak, the mill had sixteen pairs of grinding stones. William Catt had married Hannah Daws in 1797, and they had six sons and two daughters who survived to maturity. One of these sons was William Willett, born Catt, who lived from 1805 until 1866, and married Eliza Verrall in 1831. Elizabeth Catt (who later called herself Elizabeth Willett), the oldest child of William Catt the mill owner, left to her brothers, after her death at Rome on the 4th April 1863, a large sum of money that she had inherited from her grandmother Willett, on the condition that they changed their surnames to Willett too. Most of them did. Frederic was the fourth child of William and Eliza Catt, and was baptized on 16th June 1838. In 1847 West House was built on the side of St George’s Road, Brighton, looking south along Portland Place. This became Frederic’s home, and after his father William’s death in 1866 it passed to Frederic’s younger brother, George Walter Willett. Under the name of Pearson House, it became part of the St Dunstan’s Institute for men and women blinded on war service after the First World War, and is now owned by the NHS. The interior was rebuilt in 1971 but the facade is original. Frederic was educated as a Queen’s Scholar at Westminster School, and went on as an Exhibitioner to Trinity College, Cambridge, from which he graduated M.A. in 1861. 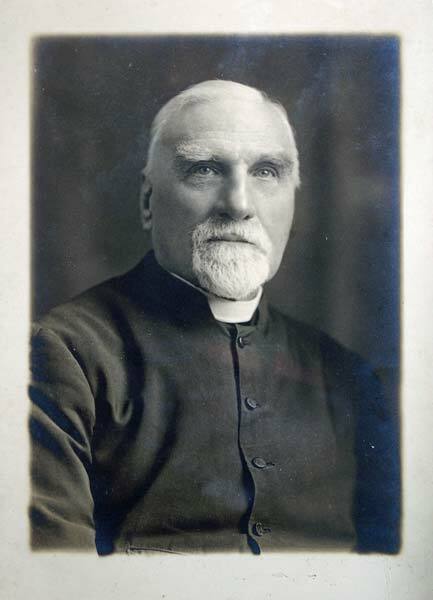 From 1861 to 1865 he was Curate at St. Peter’s Wolverhampton, duly changing his surname from Catt to Willett in 1863, and from 1865 to 1881 he was the Vicar of All Saints, West Bromwich, in Staffordshire. On 6th April 1869 he married nineteen year old Mary Bagnall of Shenstone in Staffordshire, who was the daughter of retired ironmaster (and later High Sherriff of Staffordshire) John Nock Bagnall; they had three daughters and two sons. In October 1871 Frederic accompanied George Augustus Selwyn, formerly Bishop of New Zealand and at that time Bishop of Lichfield, to the United States, where the Bishop delivered a sermon before the General Convention of the Protestant Episcopal Church at its gathering in Baltimore. They also visited Canada at this time. However, Frederic’s sojourn in West Bromwich was not wholly happy; from 1876 to 1877 he was the subject of a paternity suit, and an ecclesiastical inquiry into charges of serious immorality. One Ann Maria White, a member of Willett’s congregation, and for whom Willett had been trying to find a place as a domestic servant, accused him of having got her pregnant. Indeed, when the child was born she named him Frederic Willett White — and even attempted to get the Reverend Frederic to baptise the child with this name. The accounts in the newspapers of the time, and the verdicts of the courts involved, were to exonerate the Vicar completely. Interestingly, one of the lines of argument used (albeit wholly unsuccessfully) in the civil case against Willett was to stress his membership of the Society of the Holy Cross. This was a high church fellowship, and its members followed some practices that Protestant Victorians would have regarded as unacceptably “papistical”, including the confessional. It was argued that Willett could have used the confessional to introduce lewd and indecent ideas into Ann Maria White’s mind. The idea that an Anglo-Catholic priest would use his position to behave in a sexually immoral way with a young woman reflects a set of prejudices very different from those of our own age. However, there was a good deal of local opposition to Willett’s practices and teachings, which were felt by many to be too “ritualistic”. From the time of his arrival in the parish, he had increased the number and frequency of religious services, introduced a surpliced choir, and eventually introduced eucharistic vestments, as well as encouraging the practice of auricular confession. In 1873 a petition containing more than seventeen hundred signatures was sent to his Bishop, and in 1874 the Workhouse Board of Guardians banned the parish magazine (which Willett had founded in 1866) from the Workhouse premises because the chaplain considered its contents to be against the spirit and teaching of the Church of England. After Willett retired in 1881 on grounds of ill-health, and moved back to Sussex, his successor lost little time in ending many of the practices, including daily communion, that Willett had introduced. Frederic Willett acquired Bedales in early 1880 after the death of its owner, the widowed Mrs Jane Lowdell (née Verrall), who was his aunt, thereby joining two other members of his family in owning one of the recognised large houses in Lindfield — his uncle Charles Catt, the retired brewer, owned Summer Hill and his uncle George Catt, formerly a corn merchant, owned Sunte House. Frederic became the voluntary priest in charge at Saint Augustine’s Church from 1881 until 1905. It was Willett money that paid for the construction of the chancel, the side aisle and the church tower, just as it had been Willett and Bagnall money that had financed work at his church, All Saints, in West Bromwich. In 1893 Frederic sold Bedales to John Haden Badley, who opened a school there. The school stayed there until 1900, when an estate at Steep, near Petersfield in Hampshire, which Badley had purchased the previous year, was ready as the site of a new, purpose-built school — and is where the school remains to this day, still named Bedales. The Willets moved very slightly east, still at Bedales Hill (or Beadles Hill, as it was sometimes called), to Cudwells — not the present house of that name, but what is now called Cudwells Court and Lorien. Frederic lived to be a hundred years old, and celebrated Holy Communion at St Augustine’s Church on his hundredth birthday in 1938. He died on the sixth of June 1939, just ten days short of his hundred and first birthday. Frederic and Mary’s two sons were Frederic Wilfrid Bagnall Willett, born 3rd March 1878, and Maurice Turll Willett, born late in 1885. 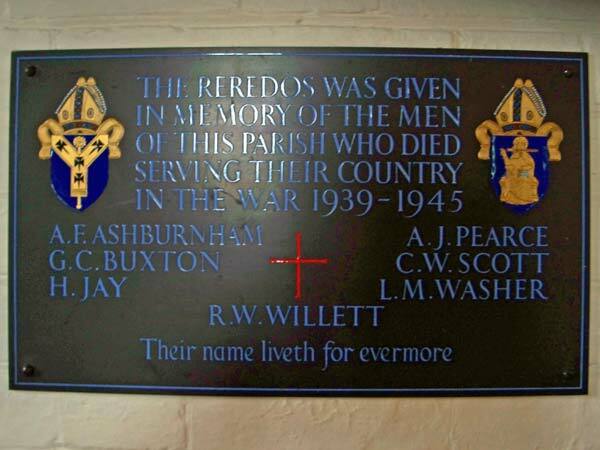 Both had military careers, and both are commemorated in the church, one with a war memorial — though he did not die in in that war. The younger Frederic was a Lieutenant Colonel in the Sussex Regiment, and was involved in the Boer War. 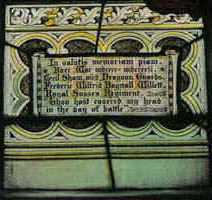 He is remembered in a stained glass window (shown on the History — 1858–1930 web page) that depicts St Martin of Tours, and remembered with him there is one Cecil Arthur Shaw, a Lieutenant in the seventh Dragoon Guards, the Princess Royal’s. 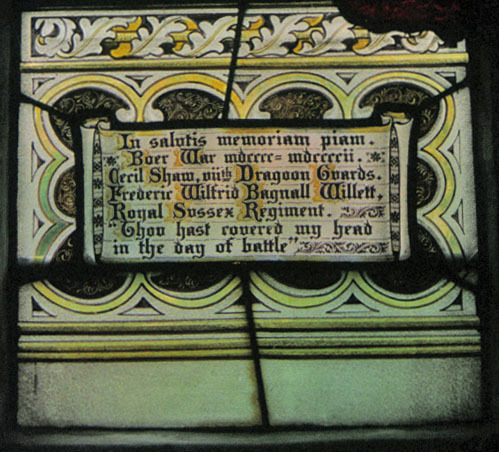 Perhaps Shaw was also a local man, and the window commemorates their safe return — the Biblical quotation “Thou hast covered my head in the day of battle” would be consistent with this — or perhaps there is a more complicated story behind this window? Whatever the explanation, this Frederic survived the Boer War, got married in 1904 to Kathleen Maud Megaw, the Brazil-born daughter of Matthew George Megaw of Great Walstead, had two daughters and a son, is recorded on the memorial to Scaynes Hill men who fought in the Great War as a Major with a DSO, is recorded on the list of Church Wardens as Lieutenant-Colonel F W B Willett, DSO, Vicar’s Warden from 1930 to 1950 and did not die until 29th August 1950, in Cudwells. Maurice was in the Royal Artillery, and was killed in an accident at Camelford in Cornwall on 13th December 1913, when he was just twenty-eight years old. It does not appear that he was married. 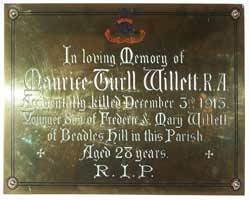 Frederic and Kathleen’s only son was Ronald Wilfrid Willett, born in 1907. He followed his father into the Royal Sussex Regiment, in which he was a Captain, and was killed in action during the Second World War, dying on 25th May 1940 at Hazebrouk in France. He is commemorated twice in the church, once with the other World War Two dead, and also in a set of windows depicting the family coat of arms. 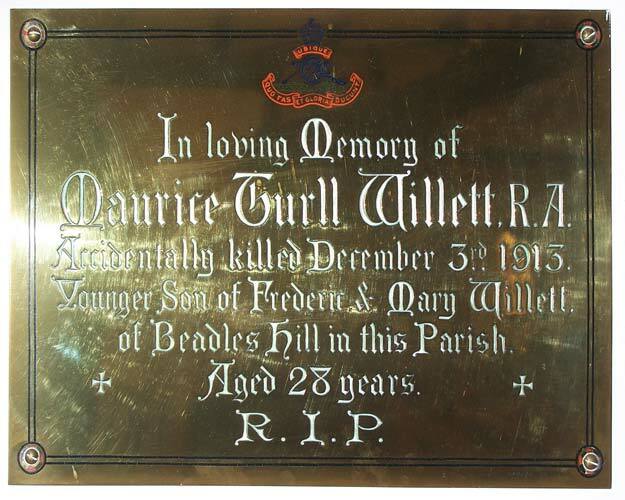 He did not live long enough to see the birth of his child, Michael Wilfrid Willett, on 9th June 1940. Per fess, argent and gules, two barrulets between as many lions rampant in chief and a cat passant in base, all counterchanged. Upon the escutcheon is based a helmet befitting his degree, with a mantling gules and argent; and for his crest, upon a wreath of the colours, upon a rock a moorcock regardant, both proper, charged on the body with two fleurs-de-lis or, holding in the beak a sprig of heath also proper. These arms are recorded in the latter part of the nineteenth century as those of Edmund Austen Willett (1840-1894), eldest child of Edmund Willett (1800-1864, born Catt), who was himself the oldest son of William Catt the Bishopstone miller. 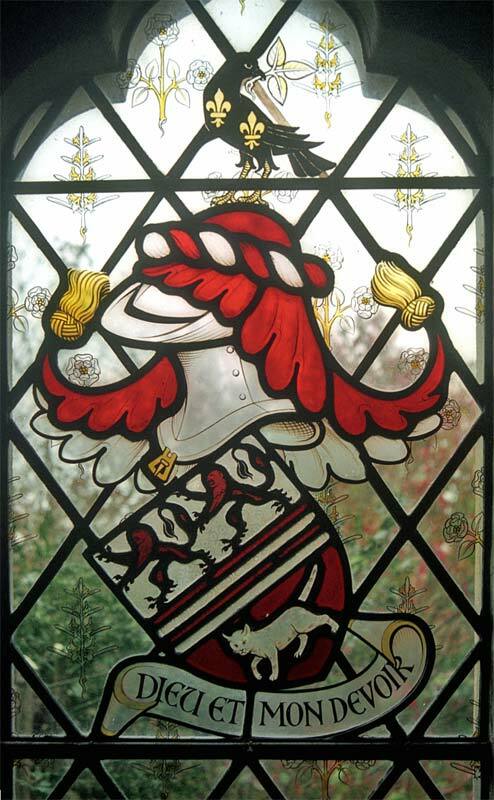 Interestingly enough, although Frederic’s grandson Ronald might not have had any right to these arms, another of Frederic’s grandsons would: in 1898 Edmund Austen Willett’s oldest son, Victor John Austen Willett (1873-1958) married Frederic and Mary’s second daughter, Marjory Lucy Mary Willett, and they had a daughter and three sons. The cat passant is almost certainly a sly reference to the family of Catt, from whom the Willetts derived. The motto, Dieu et mon devoir , is French for “God and my duty”. There is yet another member of the family recorded on the church’s monuments, albeit only a member by marriage. Frederick Wilfrid Bagnall Willett’s younger daughter, Kathleen Marjory Willett, married (on 28th December 1938) Lieutenant Anchitel Fleetwood Ashburnham, eldest son of Sir Fleetwood Ashburnham, the eleventh baronet. The Lieutenant, originally in the Royal Sussex Regiment, gained the rank of Temporary Major in the Royal Army Service Corps suring the Second World War, dying on active service in Palestine on 20th December 1940. His name is recorded on the memorial to the dead of that war. This page was last edited on Wednesday 17th October 2018 at 23:09:07 GMT, and was last fetched from the server, which is running FreeBSD 11.2-RELEASE-p9, on Friday 26th April 2019 at 00:43:41 GMT.